Short firefly squid season is now. They serve various breakfast for us. My friend tweet about chef’s choice of Yonehana and whiteboard menu of Odayasu on Twitter everytime.I’m really appreciate him. 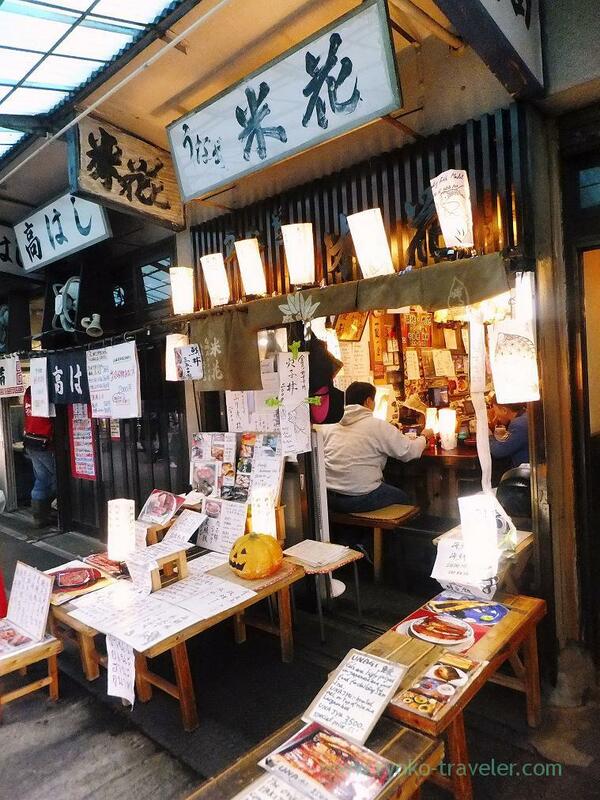 I intended to go to Odayasu that day at first, but my friend tweeted about that day’s chef’s choice of Yonehana. It was firefly squid ! It’s my delight ! I eat it at home so often, too. But it tak much time until eating it because we have to remove those beak and eyes. Usually it appear in the market from February to May only. Firefly squids in February are very small. Mostly they become enough large at the end of May. This is firefly squids with vinegared miso called “Su-miso”. The chef dished firefly squid and green onion up and put vinegared miso on it. There were about 15 firefly squids ! Everything is mine ! Great ! By the way, Yonehana serve firefly squid in a part of chef’s choice in Spring, but this was the first time to eat firefly squid at Yonehana ! 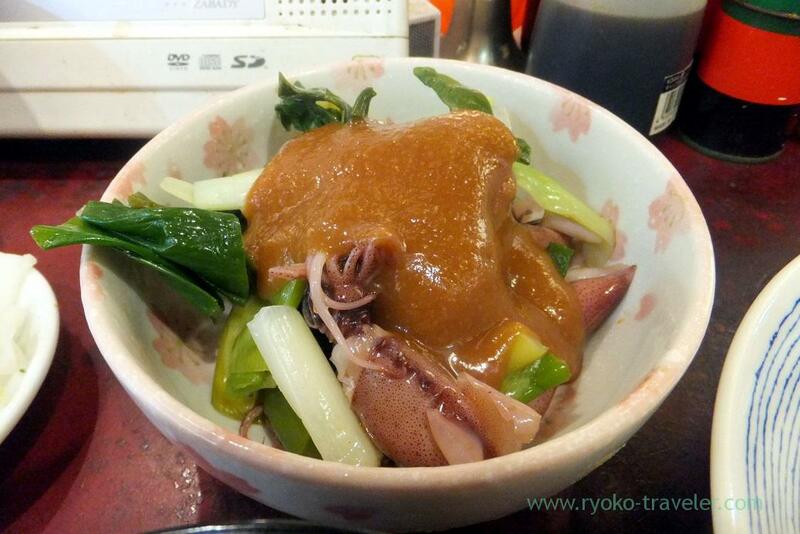 Finally, I could eat firefly squid at Yonehana at the end of year of Tsukiji Market ! 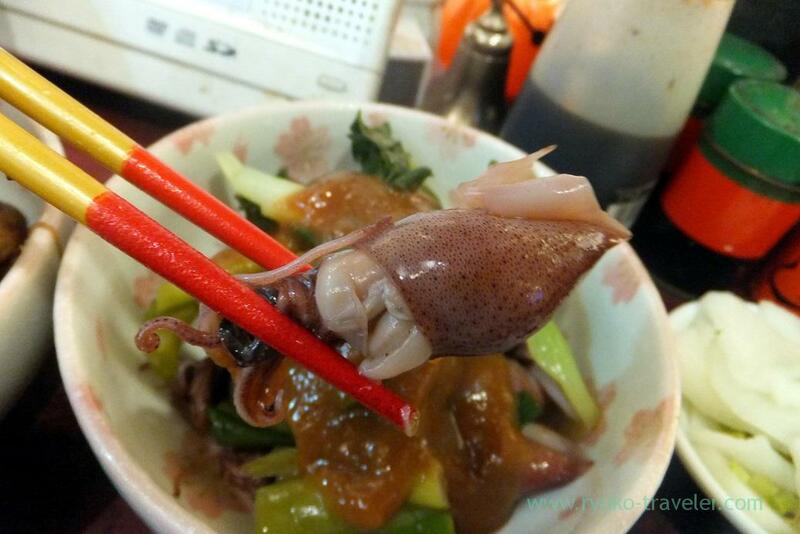 They serve some firefly squids in sashimi bowl (海鮮丼, 2500 yen) if they have in stock. 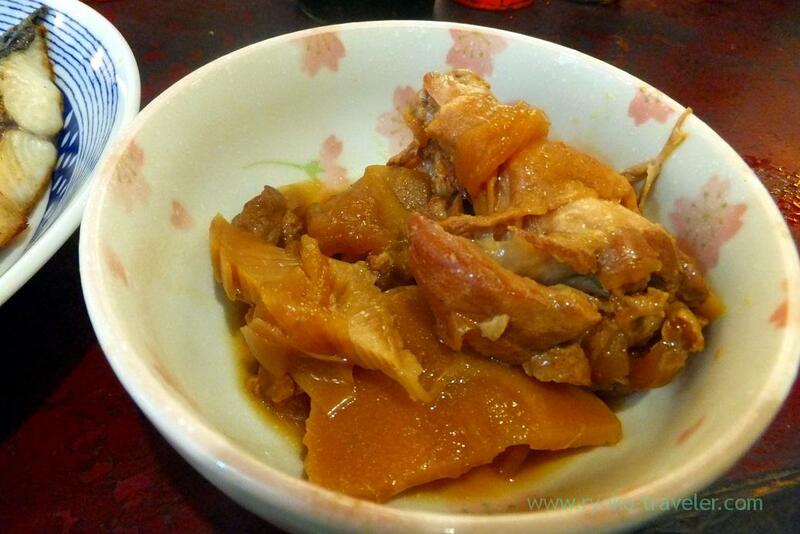 Boiled bamboo shoot and chicken with soy sauce. Yonehana always serve nutritious breakfast ! So much spinach and green onion ! My stomach could be full with them only. But entree is it. 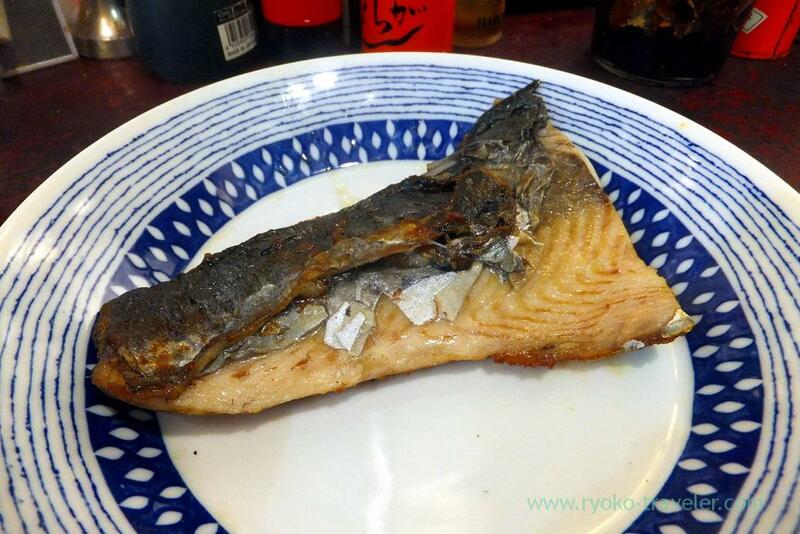 Grilled Spanish mackerel with salt. 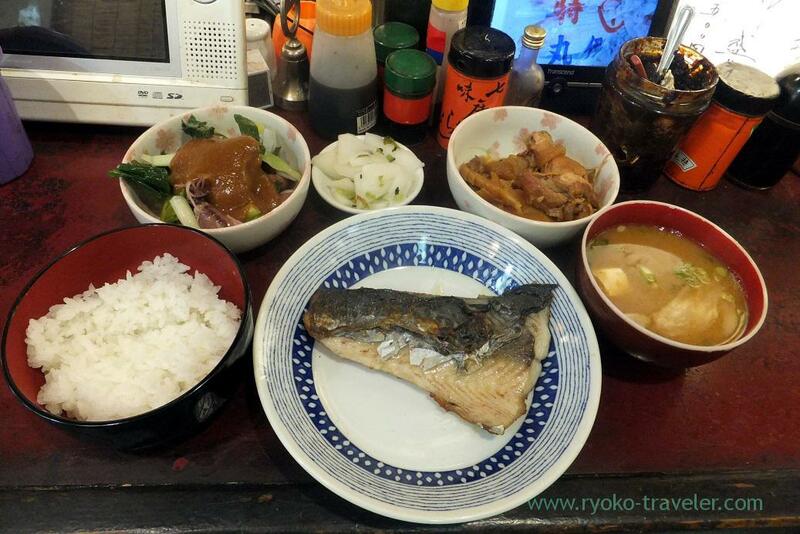 The best season of Spanish mackerel is from Winter to Spring. It was fatty and tasty 🙂 But I felt like I’m going to burst ! Whole view of my hearty breakfast.